John Dowd resigned as President Donald Trump’s lead attorney countering Special Counsel Robert Mueller’s Russia probe as the inquiry into possible collusion in the 2016 election intensifies. “I love the president and wish him well,”’ Dowd said. His decision came after Trump decided to add a new high-profile lawyer, Joseph diGenova, to his legal team. A frequent guest on Fox News, diGenova has publicly attacked Mueller’s investigation and the FBI, saying he believes Trump was framed by Justice Department officials on a political vendetta. Dowd and Trump’s other lawyers had been pursuing a strategy of cooperation with Mueller’s probe and had been negotiating for weeks over the terms under which Mueller would interview Trump. DiGenova’s hiring suggested that Trump may pursue a more confrontational approach. DiGenova has advocated a much more confrontational approach, including the idea that Deputy Attorney General Rod Rosenstein, who oversees Mueller’s work, to be removed and appointed as a judge. Until recently, Dowd and another Trump lawyer, Ty Cobb, have been instrumental in persuading Trump to back off personal attacks on Mueller, according to the people, who asked not to be identified describing private discussions. But Trump’s frustration has been growing and he attacked Mueller publicly last weekend for the first time. Dowd too expressed his desire for Mueller to wrap things up. “I pray that Acting Attorney General Rosenstein will follow the brilliant and courageous example of the FBI Office of Professional Responsibility and Attorney General Jeff Sessions and bring an end to alleged Russia Collusion investigation manufactured by McCabe’s boss James Comey based upon a fraudulent and corrupt Dossier,” Dowd said in a March 17 statement. Jay Sekulow, another Trump lawyer, said the legal team will continue its work defending the president. “We will continue our ongoing representation of the President and our cooperation with the Office of Special Counsel," he said in a statement. Since becoming Trump’s primary outside lawyer last summer, Dowd has bristled at attempts to diminish his authority, according to a person familiar with the matter. 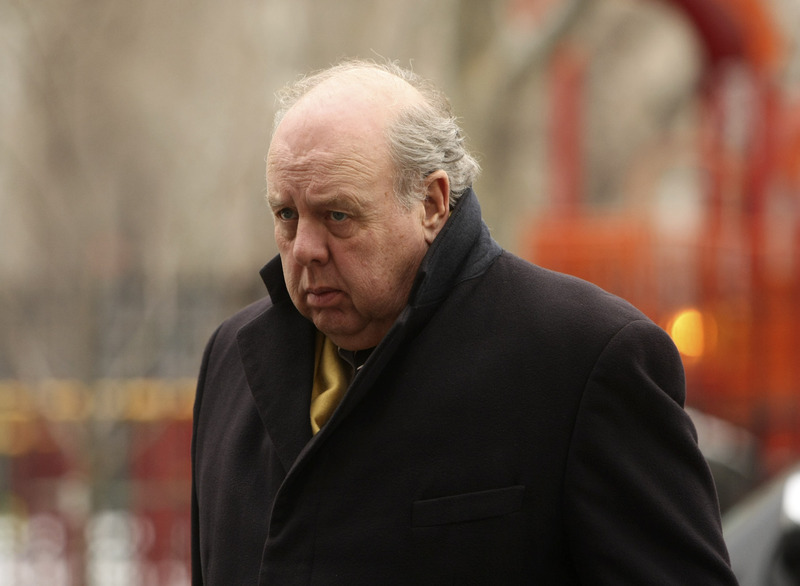 At one point last summer, when Trump’s advisers discussed top-tier Washington lawyers who could be added to the president’s legal team, Dowd groused that he didn’t want to end up being the caboose on the train, the person said. Dowd and Cobb were originally recruited with full awareness of the long history they share with Mueller. Cobb has had a friendly working relationship with Mueller for more than three decades, and Dowd shares a common bond over their time as prosecutors and as Marines who served in Vietnam. Dowd was handpicked by longtime Trump lawyer Marc Kasowitz over the summer, when it became clear Mueller’s investigation could last months, if not years, and questions were raised about whether Trump had obstructed justice. Early in his career, Dowd worked at the Justice Department where he focused on racketeering, corruption and tax-evasion cases. Dowd comes from a family of Marines and has stayed involved in the Corps, providing pro bono legal work to Marines. He is known for his combative style, talking in military terms when discussing a case and viewing himself as at war, ferociously battling his opponents.